Secure insulation and protection for flat roofs: The inverted roof principle. 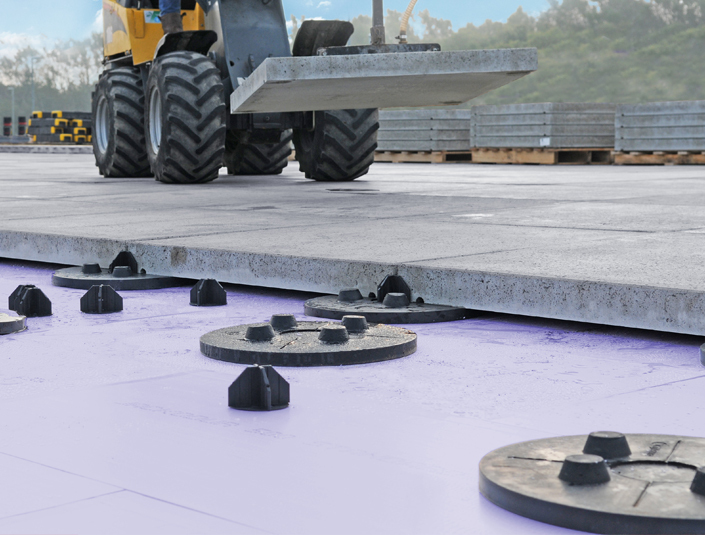 The thermal insulation for gravelled, greened, walkable and vehicle-accessible flat roofs. Insulation protects the roof membrane – durably and efficiently with a single layer! The roof is generally one of the largest surfaces of a building. As a result, construction designs are attaching ever greater significance to this structural component. The roof, and especially the inverted roof, is thus becoming a key factor in the planning process! The inverted roof concept represents a durable and secure thermal insulation and sealing system for flat roofs. The special feature of an inverted roof is that, unlike with conventional non-ventilated flat roofs, its structural elements are laid down in reverse order. The insulation is placed on top of the roof membrane, thereby protecting it from weather effects (temperature fluctuations, UV radiation or mechanical damage). 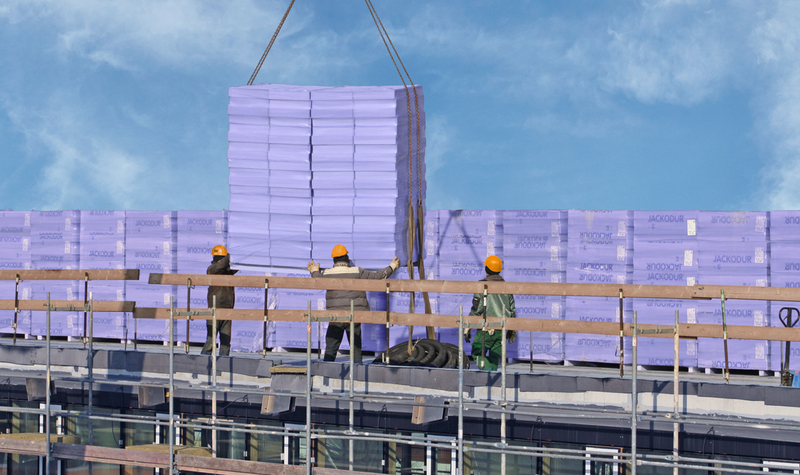 JACKODUR® thermal insulation boards made of extrude polystyrene foam (XPS) are ideally suited for use in inverted roof construction: They are moisture-resistant and dimensionally stable and have excellent compressive strength. With its innovative multi-layer technology, JACKODUR® thermal insulation can be installed in a single layer in thicknesses of up to 320 mm. Breathable JACKODUR® filter layer WA is laid on the insulation boards to stabilize subsequent layers and repel water. These system components form the ideal basis for a variety of structural configurations: Gravelled inverted roof, green inverted roof, vehicle-accessible inverted roof, duo/plus roof inverted roof. JACKODUR Umkehrdach - die Vorteile der Aufbaukonstruktion anschaulich erklärt. Gravelled inverted roof JACKODUR®: Durable insulation for functional flat roofs. Green inverted roof JACKODUR: Sustainable insulated flat roof as the basis for a healthy urban climate. Vehicle-accessible inverted roof JACKODUR inverted roof: The rooftop parking solution. Duo/Plus roof Sustainable roof renovation for existing construction.